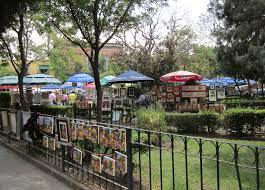 Another great neighborhood south of the city center is San Angel. Once a weekend retreat for Spanish nobles, it’s a stunningly beautiful neighborhood of cobblestone streets, Colonial-Era homes, as well as several worthwhile museums. Mexico City’s Secretary of Tourism recently named the San Angel neighborhood a Barrio Magico (Magic Neighborhood). Begin at the Miguel Angel de Quevedo Metro Station, and head north (towards the traffic circle). 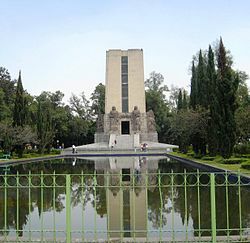 Take a left turn on Arenal, up to the Jardin de La Bombilla and the Monumento al General Alvaro Obregon. Continue on Avenida de la Paz, known for its numerous of trendy eateries. This will cross Avenida Revolución where you could take a left and enter the Museo del Carmen, a former monastery that boasts an exquisite gilded altarpiece in the first-floor chapel, if you need a break. Finally, head south on Arteaga towards the National Autonomous University of Mexico (UNAM) Campus. Visit the 1968 Olympic Stadium (Estadio Olimpico Universitario) and admire the Diego Rivera mural, located in the adjoining part with Insurgentes Sur, entitled “The University Family and sport in Mexico”. 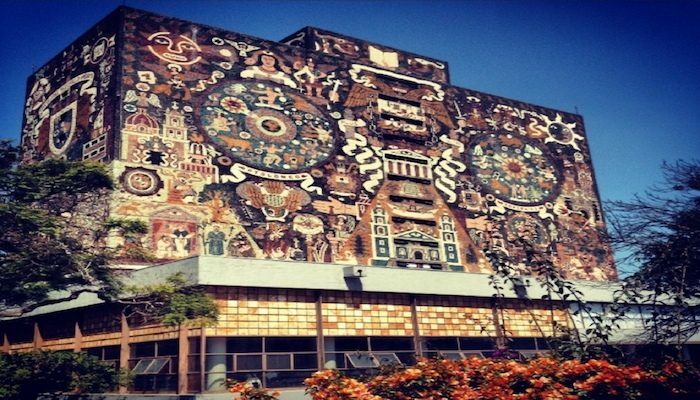 Continue to the Central Library (UNAM Biblioteca Central) of UNAM, to appreciate the iconic murals by Juan O’Gorman. Finally, continue to Avenida Universidad to return to the Metro Station.